Are you looking for some great accommodation in The Netherlands? 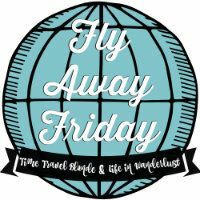 Planning a city break to Amsterdam and searching for that special place to stay? Maybe in a cosy B&B or on a houseboat even? Booking.com has just released the Top 10 best reviewed Dutch hotels and B&B’s, according to travellers. And wow, yes. Some of these are absolute beauties and I am putting them on my list to try myself. 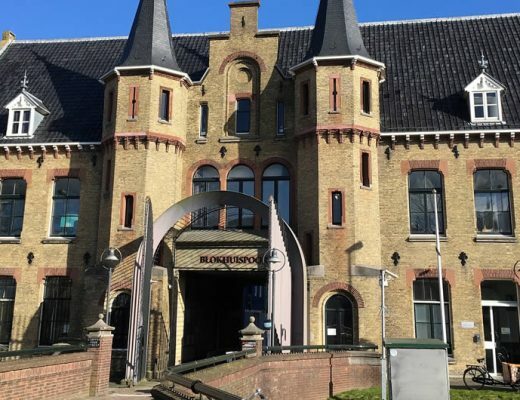 Booking.com has picked the Top 10 best-reviewed accommodation in The Netherlands based on reviews that over 140 million people left after their stay in hotels, B&B’s, holiday homes and apartments worldwide. Only accommodation with a mark higher than 8.0 was eligible to make it into the top positions. Travellers can rate accommodation on Booking.com based on location, comfort, facilities, hygiene, staff and value for money. 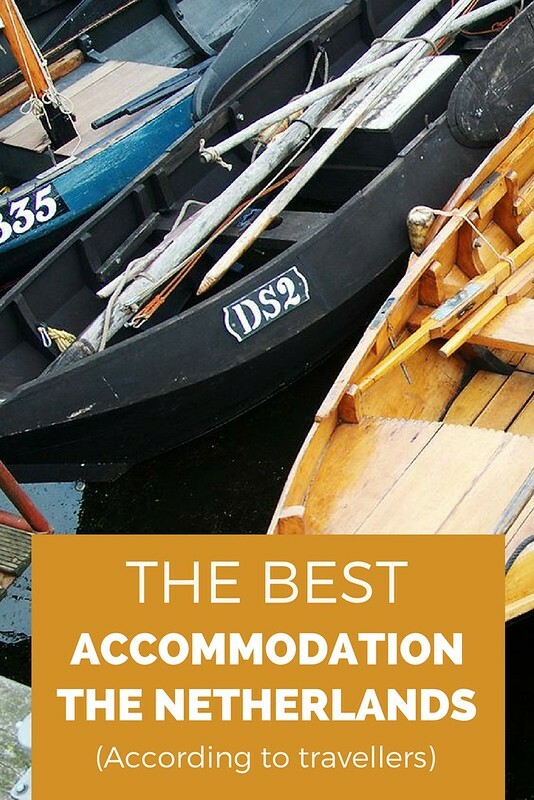 Most of Holland’s top accommodation can be found in Amsterdam, but the Top 10 does hold some surprises which give you an excellent excuse to discover more of The Netherlands. Waking up in the morning and being able to just stroll to the Rijksmuseum or Van Gogh Museum. Sounds fabulous, right? Even for me, since I don’t live in Amsterdam, this would be such a treat! And De Gulde Graaf is about 900 meters from both museums. Location location location! This apartment is great for a family travelling to Amsterdam, or a group of friends since it has 2 bedrooms with extra large double beds. The light and breezy interior is lovely, but the real treat is the large roof terrace wíth BBQ facilities. Perfect from April to October! Check the lowest rates available. 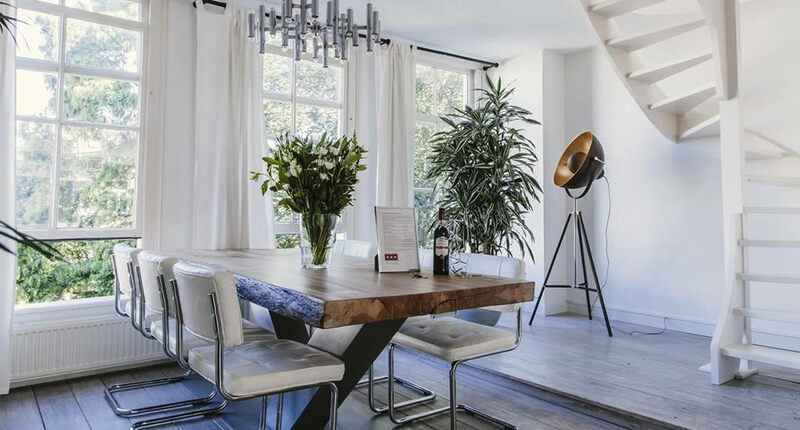 Pampering is what the Royal Boutique Apartment Amsterdam is all about, with an extensive kitchen (so some cooking will be in order after visiting the famous Albert Cuyp market!) and luxurious bathroom with both a shower and a bathtub. Plus, Royal Boutique Apartment Amsterdam is set in a UNESCO World Heritage monument dating from 1635 with illustrious Amsterdam canal views. The apartment has 2 bedrooms with large double beds. Check the rates for Royal Boutique Apartment Amsterdam. Staying on a houseboat in Amsterdam, it really doesn’t get more Dutch than this. Especially with the location of Houseboat MS 3 gebroeders, which can’t be beaten. Only a 5 minute walk to Central Station, with views over the NEMO museum. In the heart of bustling Amsterdam. Houseboats never seem very large, but this one has tall windows, a wooden decor and very reasonably sized kitchen and bathroom. The Deck overlooking the canal and famous sights of Amsterdam is a real treat. Is this one taken? Don’t worry, there are more houseboats in Amsterdam to stay in. 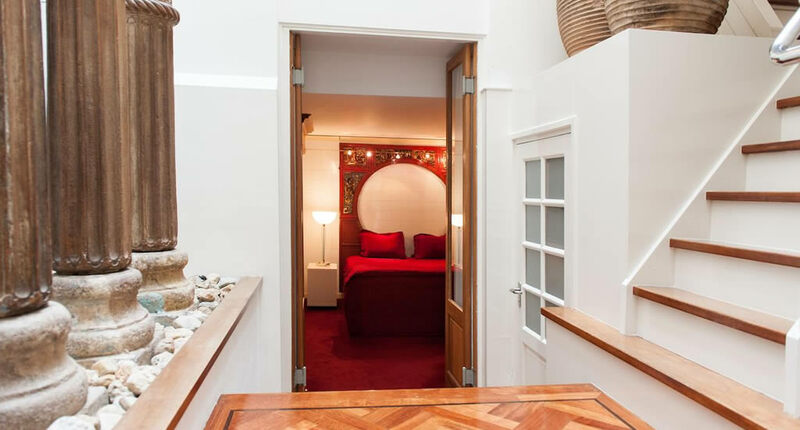 Staying near one of the central squares of Amsterdam within walking distance of all the great museums and lively pubs? Apartment At Magnelli offers 2 beautiful apartments, for 4 people, with a balcony or a terrace. 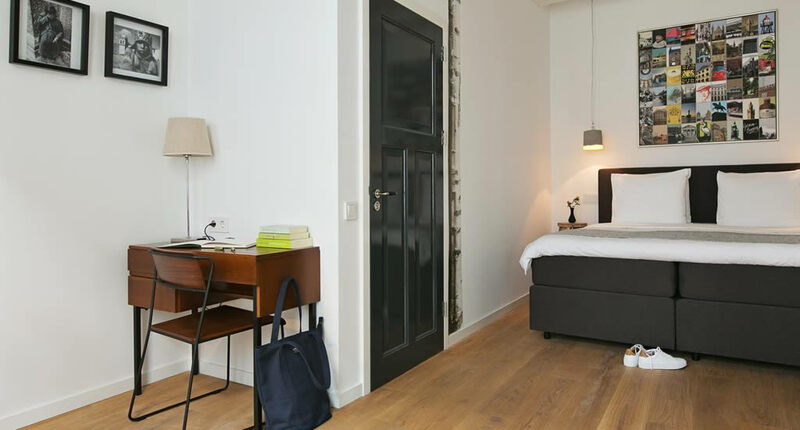 Perfect for a longer stay in Amsterdam with family or friends. More often than not, it’s pretty easy to find very cheap deals on airfare to Amsterdam. 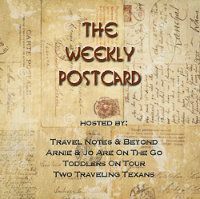 So check those rates and hop on over! You can catch a train from Amsterdam Airport (Schiphol) to the city centre. You will need an OV Chip Card, which is valid for all public transport in The Netherlands and chargeable as you go. In Amsterdam, you can use OV Chip Card to get around on public transport, but an I Amsterdam City Card grants you not only free access to public transport, but also free entrance to famous Amsterdam sights, museums, a canal tour and a walking tour. 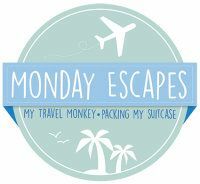 Check out my complete alternative guide to Amsterdam with the best tips to plan a perfect trip. Minding your budget? 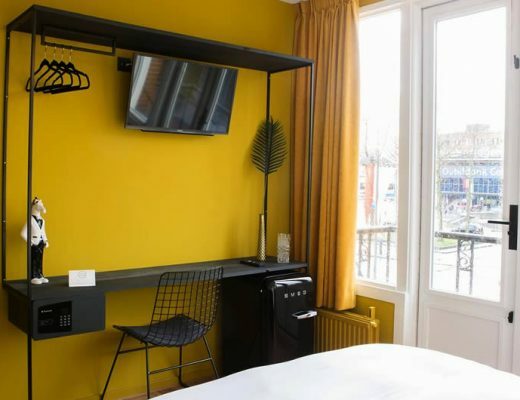 Check out my favourite budget hotels in Amsterdam. 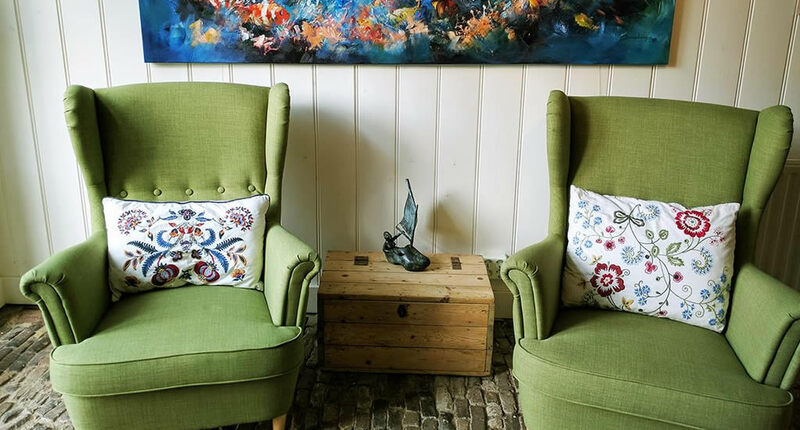 This little B&B in gorgeous Elburg made it to no.2 in Booking.com’s Top 10 of best-reviewed accommodation in The Netherlands. The typical Dutch look and pretty retro and vintage décor alone will make you want to explore The Netherlands beyond Amsterdam, for sure. It’s the perfect B&B to stay for summer because the beach is only a 12-minute walk away. Elburg is part of the Dutch Hansa Towns, some of the prettiest small cities and towns in the east of the country. 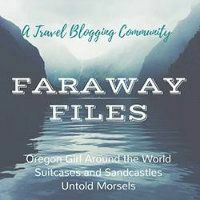 In my article Road trip in The Netherlands: along Hansa Towns, you will read all about Elburg and other cities nearby. The Hague is home to Vermeer’s Girl with the Pearl Earring and M.C. Escher’s masterpieces and Bacán B&B celebrates these grandmasters with memorabilia throughout the entire place, yet remains stylish and cosy at the same time. A trip to The Hague should be on your list no matter what, as the city is close to the sea (just hop on a tram), has great cafés and restaurant, is home to the largest China town’s in The Netherlands and has some pretty brilliant museums. 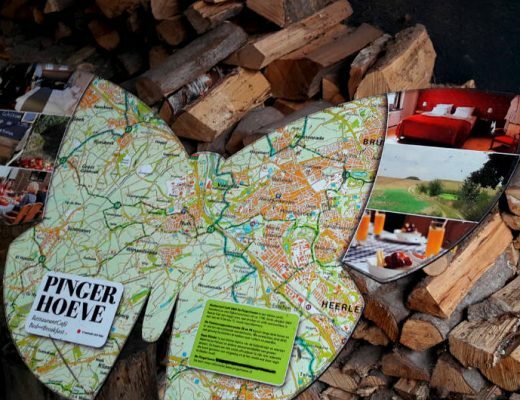 Plan your trip using my nifty city guide The Hague. Here’s how you spend 24 hours in The Hague. Don’t forget to check out The Peace Palace while there. And take a day trip to Delft from The Hague. 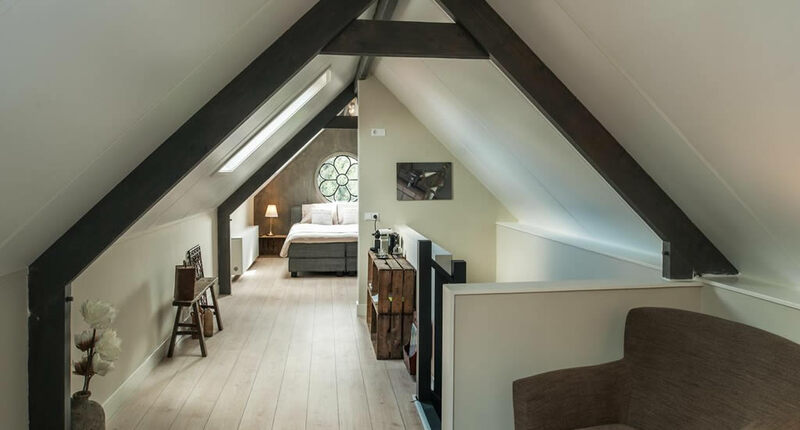 If you’d like to plan a trip to get away from it all and you’d like to mix up trips to Dutch cities like Amsterdam and Utrecht with some quiet time and maybe a walk or two in the Dutch countryside, then a stay at Louise Holiday Home is for you. Linschoten is just a small village, not too far from Utrecht. This gives you the perfect opportunity to see both Amsterdam, Rotterdam and Utrecht during your trip. But the setting in the countryside simply begs for some walks or maybe even bike rides if you feel comfortable doing that. 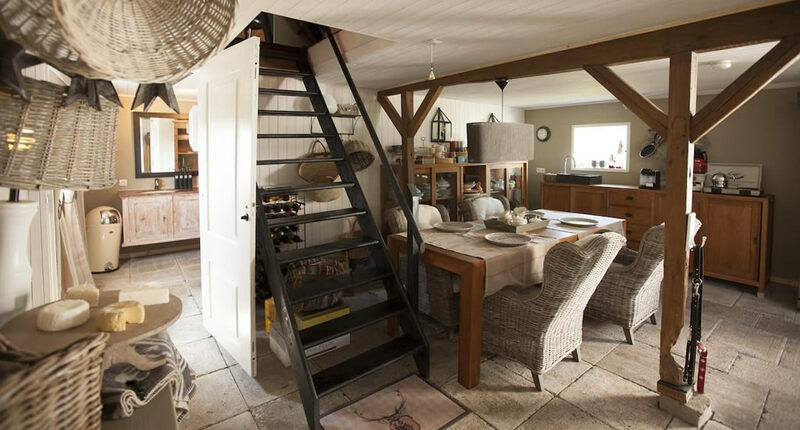 The converted farmstead just oozes atmosphere, with old-fashioned Dutch details, though is very comfortable as well. Confession time! I had to look up exactly where Stevensweert is, I had never heard of the place. But now I can tell you it’s a small village in the north of the Limburg province. One of the loveliest parts of The Netherlands, and the only place in the country to see some modest rolling hills (yes, the rest of The Netherlands really is thát flat!). From Stevensweert it’s easy enough to visit the fabulous city of Maastricht and the white village that is Thorn (which used to be a small kingdom!). Chambor Chambres offers spacious and very comfortable rooms and there is a big garden to relax in when the weather is nice. 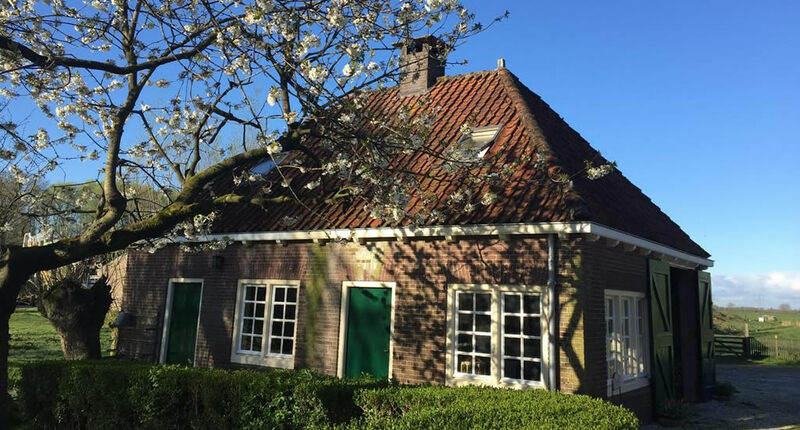 Staying at Rietveld Cottage is going for a full Dutch experience during your trip to The Netherlands, and a perfect location if you’d like to be close to Amsterdam but not actually within the busy city. The typically Dutch cottage is located on a private island and guest can reach it by using the little boat that is at their disposal. The owners also offer free bikes, so you can take bike rides through the beautiful Dutch countryside. The cottage has beautiful old beams and historical details, as well as a large garden overlooking the water. And then there’s B&B Monument076 in Etten-Leur. A typical case of ‘I grew up 10 minutes from this place and I had no clue it was here’. Such a shame. Now, the town of Etten-Leur may not ring a bell with any of you, and I really don’t blame you, until I tell you that Vincent van Gogh was only born minutes from Etten-Leur in the village of Zundert. And Van Gogh lived in Etten-Leur as well. And both towns are celebrating the life of the famous paintings with museums, exhibits and guided walks as you can read in my article Meet Vincent van Gogh in The Netherlands. 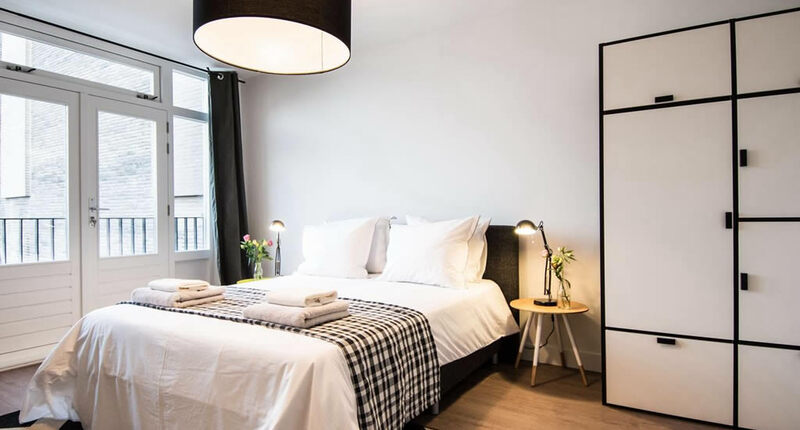 Plus, a stay in this B&B is the perfect opportunity to explore the nearby city of Breda, which is one of my favourite cities in The Netherlands. The B&B is set in a historical house, with lots of old details like stained-glass windows. But the real perk is the large garden to relax in after a day of sightseeing. 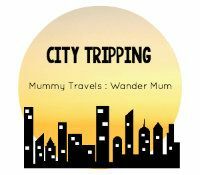 So tell me, which of these places would you like to stay in? Or have you stayed somewhere fabulous in The Netherlands and would you like to share? Just drop me a comment! What a fantastic list! We hope to get back to Amsterdam later this year and will need to check back with this list. Oh yes, The Netherlands are great for bird watching. I guess Hoge Veluwe, Oostvaardersplassen, Biesbosch and the Wadden islands would be the perfect destination. However, near the cities there are also many birds to see. I saw a kingfisher just during my morning run yesterday! Thanks for stopping by. These are all inviting. I loved Amsterdam and I hope to go back someday and stay long enough to explore some of the outlying little towns, too. The country is so charming! Absolutely love the houseboat! Definitely need to stay there on my next Amsterdam trip! Wow, that cottage is so gorgeous – I wouldn’t mind a quiet weekend there! I also looked into staying in a houseboat when I went to Amsterdam but I left it too late. I really loved the boutique hostel I stayed at (called Ecomama) but wouldn’t be above trying a houseboat if I could get my hands on one!! Staying a little in nature, when you visit in spring, is highly recommended! Wow, I love the accommodations in here. I think my favorite is Rietveld Cottage. The decor is gorgeous. Even though I like that place the best, I would like to stay on a house boat. I saw so many cute ones when I visited Amsterdam and started to think how it would feel to live (or stay) there. Haha, a friend of my husband lives on a houseboat and to be honest, it’s not as romantic as it sounds. To me, it was a little too cramped for me and the mosquitos in summer are maddening. Sorry to burst the bubble 😉 But a couple of days: sure, great fun! I haven’t been to the Netherlands for years and so want to go back there are some beautiful properties here my fave is the top one and the cottage they are so so stylish. Wow all of these look absolutely stunning! We need to go and explore more of the Netherlands! Okay.. so … this post couldn’t be any better planned! Actually planning my trip to Amsterdam now and booking accommodation tomorrow! sending this post along to my friends for ideas 😀 Thanks for sharing! Wow, stunning pics which are giving me FOMO right now, haha! 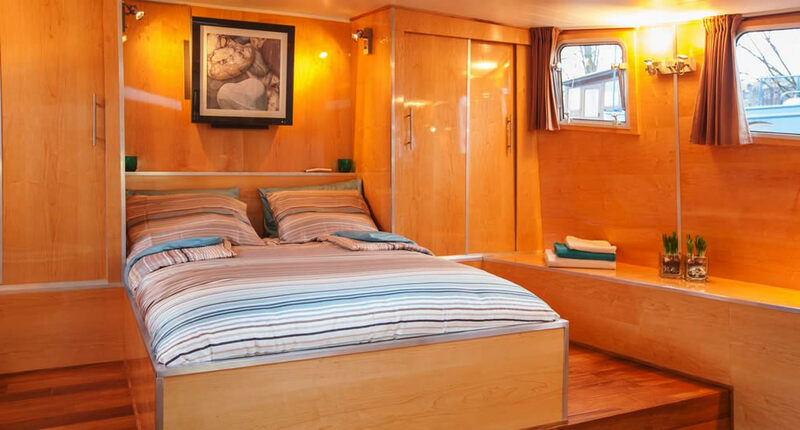 I would love to experience staying in a houseboat in Amsterdam. My favourite type of accommodation will always be B&B. I like hotels too especially boutique hotels that have a unique theme. 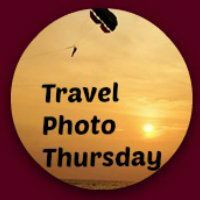 This post is a great resource for me in the event that I travel to Amsterdam…cool!